Born on 12/02/1976 in Kiryat Biyalik. 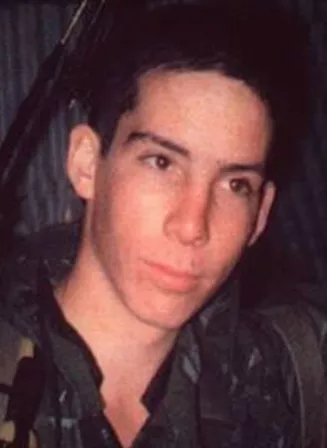 Drafted to the IDF in August 1994, successfully completed Medics Course, Sappers Course and Reconnaissance Course as part of his training for Sayeret Yael. On 22/01/1995 Assaf was seriously injured from a secondary explosive device in a terrorist attack on the Bet Lid Intersection as he delivered first aid to those injured in the initial explosion. Assaf succumbed to his wounds on 16/12/1996. Buried in the Kiryat Yam (Tzur Shalom) Military Cemetery aged 20. In 2003 he was posthumously awarded the Chief of Central Command’s citation for action taken during the attack. Corporal Assaf is survived by his parents, two brothers and a sister.